(CNN) -- The wreckage of an Air Algerie flight that crashed early Thursday has been found in the northern Mali desert, officials in Burkina Faso, where the plane took off, said on state-owned RTB television. No survivors were found, according to Burkina Faso Gen. Gilbert Diendere. Flight 5017 was carrying at least 116 people when it departed for Algeria. It disappeared from radar after diverting from its planned course due to bad weather, French Foreign Minister Laurent Fabius told reporters. At least 50 of the passengers aboard the MD-83 were French. Mali will lead the investigation into the crash. French forces, including two fighter jets, helped search for the aircraft, along with Algerian and U.N. personnel in the region, Fabius said. Radar contact with the crew was lost 50 minutes after takeoff from Ouagadougou, Burkina Faso, at 1:47 a.m. Thursday, Fabius said. 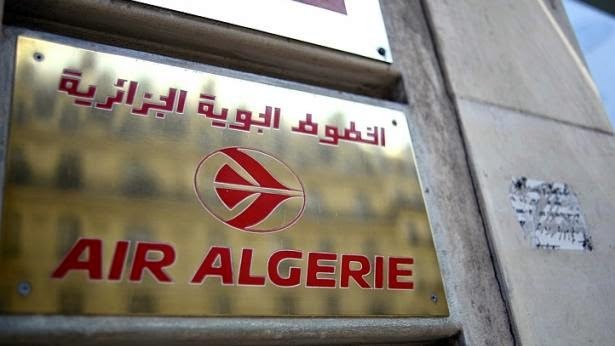 The aircraft was supposed to arrive at Algiers' Houari Boumediene Airport. Mali lies between Burkina Faso and Algeria. The plane was carrying 110 passengers and six crew members, Air Algerie sales manager Zoheir Houaoui told reporters. Among the passengers, he said, were 50 people from France; 24 from Burkina Faso; eight Lebanese; six Algerians; five Canadians; four Germans; two from Luxembourg; one from Mali one Cameroonian; one Belgian; one Ukrainian; one Romanian; one Swiss; one Nigerian; and one Egyptian. The plane's six crew members were Spanish, Houaoui said. The plane belongs to a private Spanish company, Swiftair, but it appears to have been operated by Air Algerie. A U.S. State Department official said the department was not aware of any Americans on the flight. Ouagadougou Airport said in a statement that Mariela Castro, daughter of Cuban President Raul Castro, was among those on board. However, the National Center for Sexual Education in Havana, Cuba, which Mariela Castro runs, denied the reports and told CNN she was at an event in Havana. Castro subsequently told a Telesur anchor who interviewed her by phone, "I'm alive, kicking, happy and healthy!" According to CNN meteorologist Mari Ramos, the flight path took the aircraft through a region of thunderstorms. The flight path went through a turbulent area, so it is likely that if the plane was diverted because of weather, it was to avoid a bumpy flight. Thunderstorms are a very common occurrence at this time of year in the area. The MD-83 is part of the McDonnell Douglas MD-80 family of twin-engine, single-aisle jets. Air Algerie is Algeria's national airline, with flights to 28 countries. The deadliest incident in the airline's history occurred in March 2003 when a domestic flight crashed after takeoff, killing 102 people on board. One person survived. In February, a Hercules C-130 military aircraft crashed in the mountains of eastern Algeria, killing 77 of the 78 people on board. Flight 5017's disappearance comes exactly a week after a Malaysia Airlines plane was brought down in Ukraine with 298 people on board.